MONTREAL, QC, CANADA – September 5, 2018 – dormakaba, the provider of secure Saflok™ and Ilco™ electronic door locks, confirms its position as a one-stop provider for all property lodging access needs. 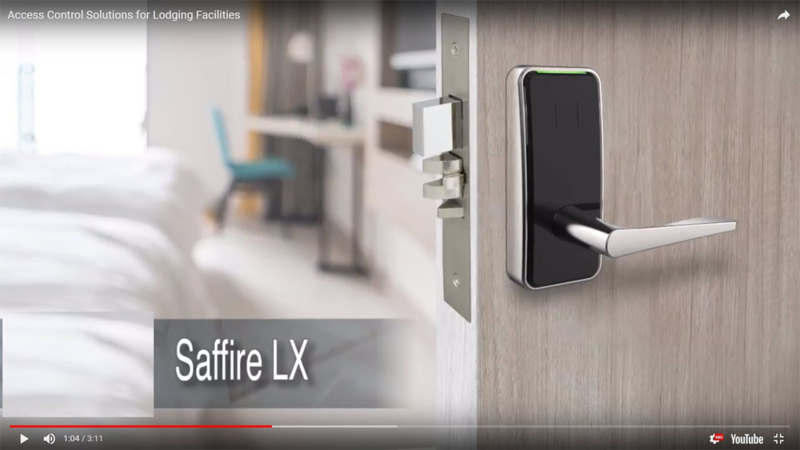 dormakaba recently announced its new line of Saffire LX and Quantum Pixel Bluetooth Low Energy (BLE) locks and Ambiance Access Software. In addition to its suite of electronic door locks, the company provides a growing list of hotel and resort solutions that include Entrance Systems, Interior Glass Systems, Movable Walls, Data Analytics Capability, and Access Control Management. “Today hotel companies, and developers trust dormakaba to provide a total portfolio of access solutions. Our product suite begins in the lobby with hotel entrance door systems, and extends to back of house security, movable meeting space divider walls, and secure electronic guest room lock systems,” said Stephen Pollack, dormakaba vice president. Pollack noted dormakaba’s solutions include Ambiance, the industry’s most flexible access management software. The Ambiance Access Management Software platform and mobile tablet key encoding system gives operators full control over dormakaba locking systems. Ambiance is developed with both property and data security in mind. It is flexible to work in parallel with multiple system security levels to maximize data protection. Ambiance supports all dormakaba RFID locks and mobile access solutions. VIDEO: Click here for a 3-minute presentation and demo of the newest dormakaba systems. dormakaba is a service focused, best-in-class global leader that combines innovative solutions and professional services. The company provides the worldwide hospitality industry with access control and electronic locking solutions that address every area of hotel operations.